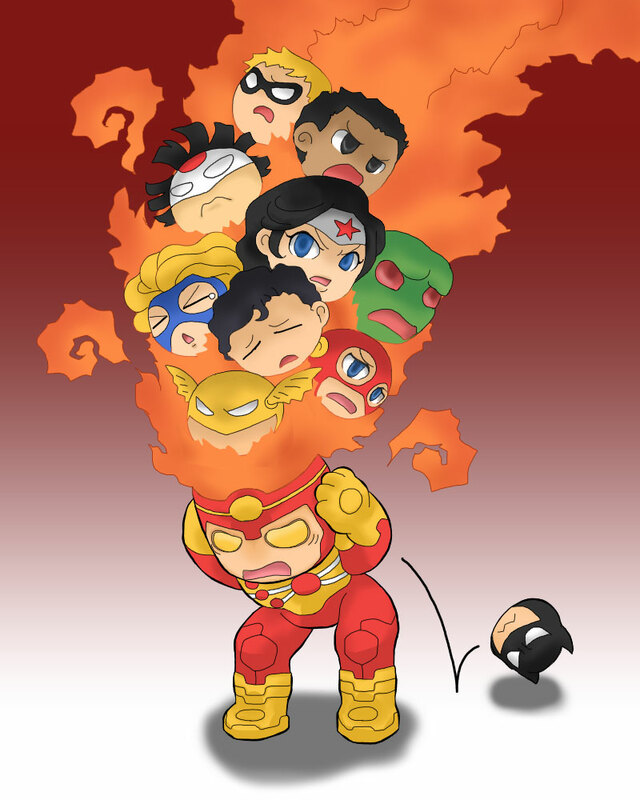 Okay, so the art below is adorable, but the subject matter is disturbing (if you’ve read Forever Evil #3). I’m conflicted! Click to enlarge. I’ve decided. It’s adorable! Great job by Nekemeko on the artwork! They labeled it, “They are more like Angry Birds.” Ha! Support Firestorm (and Nekemeko)! Fan the flame! Posted in: Firestorm #10: New 52 v2 (Ronnie/Jason), Sketch/Art.